To enable either notification, login to https://vmail.williams.edu (using Firefox or Internet Explorer on the PC and Safari or Firefox on the Mac)*. 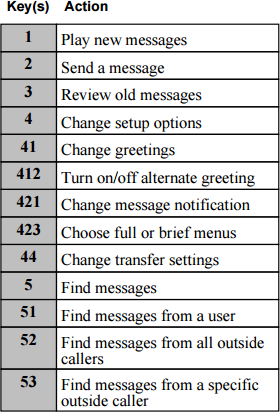 Click on Message Assistant, from the menus at the top, select Notification Devices - click View Notification Devices. The next screen is where you will enable the notification of your choice by clicking the Enabled box and then hitting Save at the bottom of the page. You can select both HTML and SMTP if you want to try each of them. You can go back in anytime to deselect the notification you no longer wish to receive. If you have any questions, please contact the Faculty Staff Support Desk at 413-597-4090 or email [email protected]. *With some Chrome updates, the menus do not show up on the PC. You will need to use either Firefox or Internet Explorer to enable the notification. Chrome on the Mac will display the menu options but they are in list view at the top of the screen. You can check your voicemail messages from a few different browsers although some modifications may be needed depending on the browser you use. You will need to login to vmail.williams.edu and go to your Web Inbox. Select your operating system below for more details. In the Voicemail portal you can set up alternate numbers so when you call from those numbers the voicemail system will prompt your for your PIN (just like when you call voicemail from your desk phone). Logon with your normal username and password (do NOT include @williams.edu in your username).